Accounting Careers are booming. This is the time to become a certified accounting professional. The demand for accounting professionals currently exceeds supply. If you're interested in increasing your financial awareness and accountability while also gaining a marketable skill, these instructor led online accounting courses are for you. According to the Bureau of Labor Statistics, U.S. Department of Labor, Occupational Outlook Handbook accounting is a field that's growing at a faster than average rate with an estimated 1.2 million accountants currently working in various industries including public agencies, corporations, educational institutions and charitable organizations. 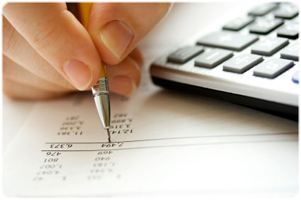 Accounting careers are great for people who enjoy working with numbers and mastering the latest accounting software. According to the US Department of Labor statistics, the Employment opportunities for accountants and auditors are expected to increase by 18 percent between the years 2006 and 2016. ExpertRating is a trusted name in online testing and certification with over 200,000 certified professionals in over 60 countries in more than 200 skill areas. While pursuing these online accounting courses by ExpertRating, you will learn the basics of accounting like double-entry bookkeeping, will learn to analyze and record financial transactions, as well as how to prepare various financial reports at the end of the fiscal period. Microsoft Excel, Quickbooks and Business Planning are other valuable courses covered under the category of online accounting courses. The Online Accounting programs cover basic topics ranging from writing checks to more complicated ones like preparing an income statement and closing out accounts at the end of each fiscal period. Suitable for either a small business or an individual household, these courses are sure to increase financial awareness and accountability. ExpertRating Online Accounting courses and programs offer the flexibility of learning from home while while being led by experienced Instructors.